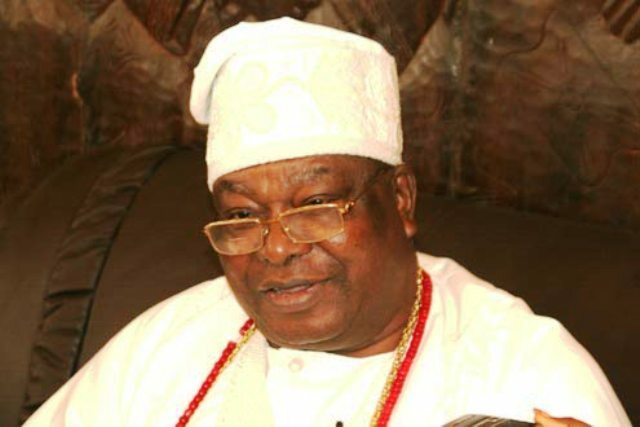 The Awujale of Ijebuland, Oba Sikiru Adetona, on Tuesday lamented the deplorable condition of roads in parts of Ogun State. The traditional ruler spoke in his palace in Ijebu-Ode when the All Progressives Congress governorship candidate in the state, Dapo Abiodun, paid him a visit. Abiodun was accompanied by a former governor of the state, Chief Olusegun Osoba; Senator Dipo Odujinrin; Senator Gbenga Obadara; Senator Gbenga Kaka; the party’s caretaker chairman in the state, Chief Yemi Sanusi; and Dr Femi Majekodunmi, among others. The governorship candidate paid the visit on the second day of his house-to-house campaign tour of Ijebu-Ode Local Government Area. The monarch noted that most of the roads in the state were in deplorable conditions and required immediate rehabilitation for the movement of people and goods. He urged the candidate to address the situation if elected. Oba Adetona also urged Abiodun to use the opportunity offered by the proximity of Ogun State to Lagos State to synergise for the growth and development of the state.